New music is a feature of the PNMVF and we are currently developing the information below with bios of the composers and a brief synopsis about their piece. Stay tuned for more information as it comes to hand. (b 1984) is a composer with a background in directing and producing contemporary-classical/art-music. 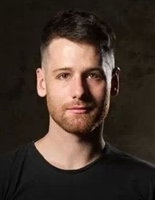 He co-founded Chronology Arts Ltd in 2007 with fellow composer Alex Pozniak after completing his Bmus Composition at the Sydney Conservatorium of Music, (graduating with 1st Class Honours). Andrew's compositional activities have mainly been linked to the productions of Chronology Arts, including chamber music performances in Sydney Opera House, Carriageworks, Sydney Conservatorium, festival appearances in Sydney Fringe, Mardi Gras, ISCM and Aurora Festival. Recent compositions include “Song of The Virtues” for the Song Company (poetry by Chris Mansell), “28” for the NOISE, “Echo” for choreographer Amy Mauvan, “Morphic” for choreographer Sarah-Vyne Vassallo and DirtyFeet, “Seven Stations” for Halcyon and Chronology Arts. He has also worked with the Goldner Quartet and Alicia Crossley. Has been released on labels Vexations840, Hospital Hill and the New Music Network and has been released by Alicia Crossley independently. His music has been broadcast on ABC Classic FM, FineMusic FM, Eastside Radio, Fbi Radio, and stations in New Zealand and France. In 2014 he plans to complete his candidature for a Masters in Music (composition) at the Sydney Conservatorium of Music under supervision of Matthew Hindson. 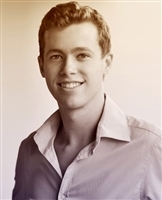 Will Brown is a Brisbane based composer, conductor, pianist and educator. He received his Bmus from the Queensland Conservatorium where he studied with Stephen Leek, and his GradDip Education through Griffith University. Will’s compositional output is largely for choral ensembles and he has a particular interest in working with male voiced groups. His pieces are popular choices for ensembles and conductors who enjoy new Australian works. They have been performed as far afield as Yorkminster and Southwark Cathedrals in the United Kingdom and at large choral events such as Boyz Bizz, Queensland and choral festivals in Mackay and Rockhampton. 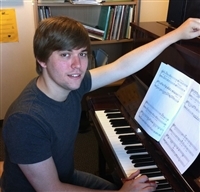 Will also has a strong passion for music education and works full-time teaching classroom music and piano. He conducts a number of choirs from treble boys and changing voice men right through to adult community choirs. 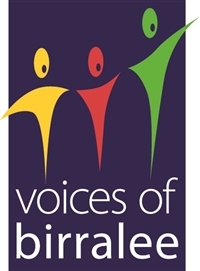 He sings regularly in Resonance of Birralee and Queensland Kodaly Choir and is honoured to be have been commissioned for the Pemulwuy National Male Voice Festival. With a song of the morning that's calling me back. And the bush in the sunshine is calling to me. And the love that it sheltered is calling me home. Is the voice of a youngster that's calling to me. Annie is truly excited by children’s and youth choirs, always inspired by their spirit, possibility and sound. She won the Open Composition section of the 2005 Young Composer’s Award and was the inaugural winner of the 2006 Gondwana Voices Composition Award. Her works have been performed in Adelaide, Toowoomba, Sydney, Melbourne + Brisbane as part of choral festivals such as the South Australian Public School’ Music Festival, ANCA Sing-Out, Choralfest and Pemulwuy, as well as being actively sought out for primary and secondary school music programs. 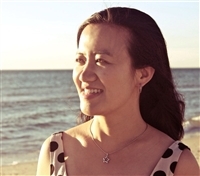 She was the 2011-12 Composer-in-Residence for Young Adelaide Voices, composing works for the 6 choirs under the whimsical title of "Heart, Connection + Identity." Annie is delighted to be the Composer-in-Residence for the Sydney Children’s Choir in 2014. The lyrics of this piece read like a love song; as meant for someone special. However, the original intent was for the words to be as an acknowledgement or personal “prayer” to each of the choristers to remind them of how essential, individual + valued they are. I was thinking about the fragility and beauty of the changing voice in parallel with the development of identity during the teenage years, and how surprising, challenging, and ultimately extraordinary a journey it can be. These words are to remind us, and the choristers, of how unique they are. Daniel is the choir master of several choirs in Canberra, Australia, a singing and piano tutor, baritone soloist, accompanist, composer, arranger and orchestrator.